Choosing how you will display your family's photographs is a very important decision, and in order to make an effective decision, you need to do more than evaluate pros and cons of album styles. You need to consider your own personal style and how you choose to express your feelings and record your precious memories. You need to decide how much time you're willing to spend on arranging your photographs, and how much detail you'd like to include along with your photographs. If you just want to get your photos into an album, then the most basic, pocket style album will do the trick. But be forewarned -- all albums are not created equally! You must be absolutely certain that the photo album you choose is free of acid, lignin, and PVC. Remember, these hazardous materials will wreak havoc with your photographs! If you plan to include journaling details or decorative accents and memorabilia, then you will want to choose more of a "scrapbook" album. These types of albums fall into four categories: 3-ring binders/d-rings, spiral self-contained albums, strap-hinge expandable albums and post bound expandable albums. 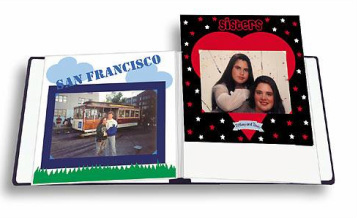 For a great selection of scrapbooking albums, check out Pioneer Photo Albums. 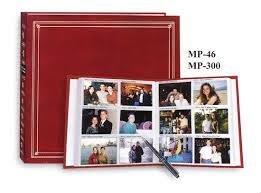 They offer a large selection of albums both for scrapbooking and just viewing, in a variety of colors and sizes. They are our favorites! (I love the Family Treasures Scrapbooking albums that is post bound).